We ended up walking up to Broadway and randomly trying out Sake Cafe since they were open early. Viv decided to go for their "choose any 3 items" meal for $8.95. 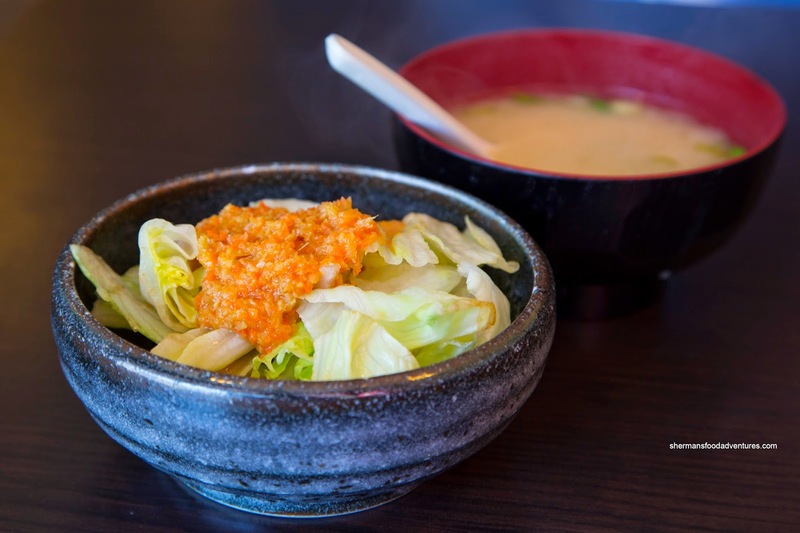 It included Green Salad and Miso Soup. Not much to say about either, but the dressing was gingery and sweet. 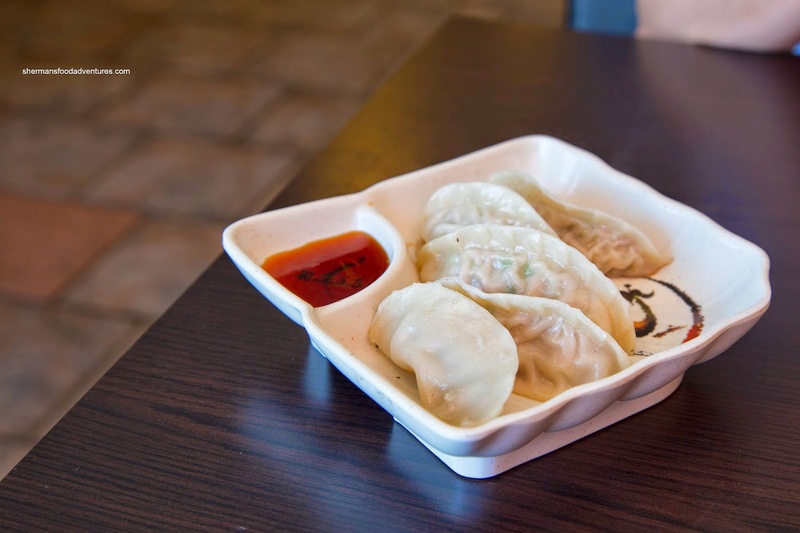 Looking rather pale and plain, the Gyoza were more like steamed dumplings. The bottom was only slightly seared and provided no colour nor texture. On the positive side, the dumpling themselves were not bad. With a filling of mostly veggies, the meat was still there being moist and only a bit chewy. The dumpling skin was super thin while still slightly chewy. I suppose the kitchen wasn't in midday form as we arrived prior to 11:00am. 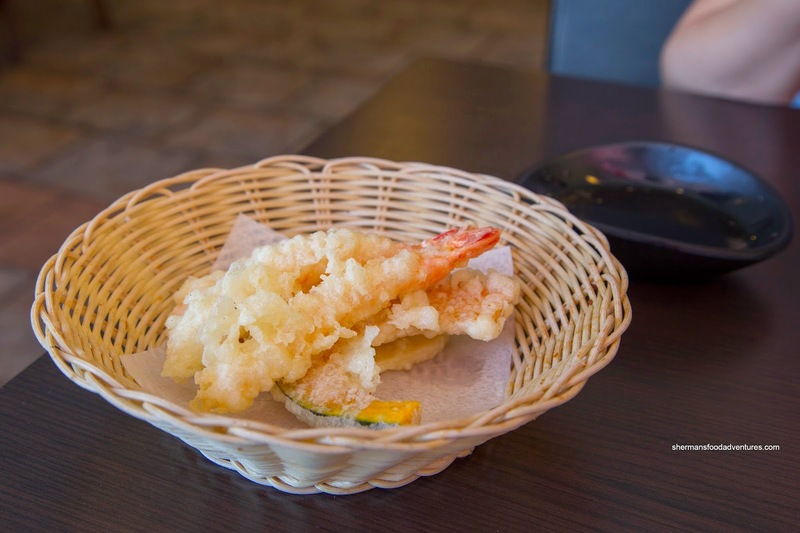 Another example was the Tempura being soggy and greasy. The batter was quite dense and it was only intermittently crispy. Either the oil wasn't hot enough or the batter didn't really get a chance to cook through. Again, I'm not sure if this was due to poor cooking technique or the fact we were there before everything was ready to go for lunch (ie. oil temp). Viv's last dish of the set meal was the Teriyaki Chicken with rice. The chicken itself was tender and juicy while the skin was not really all that rendered being quite pale. There was an adequate amount of sauce on top of the fluffy rice. We weren't bothered by the rice even though I'm sure some purists would want the chewier version. 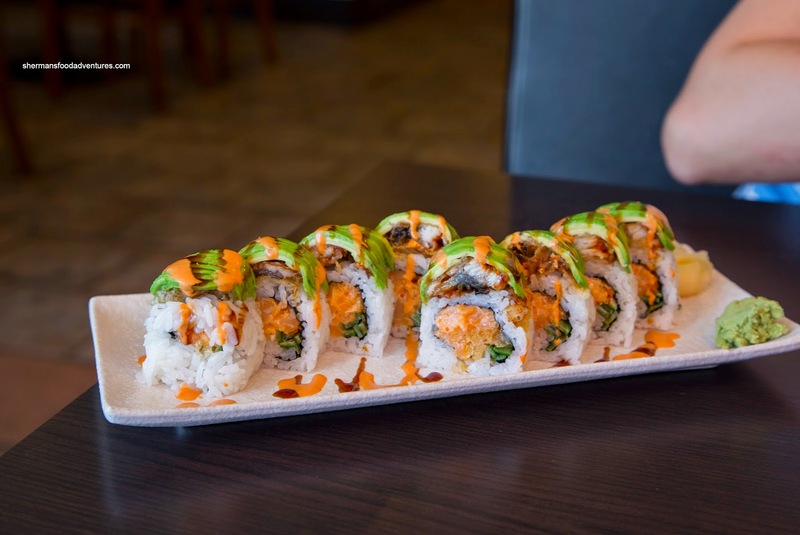 We also had the Big Roll consisting of chopped scallop, cucumber and tempura bits on the inside with unagi and avocado on the outside. We found the rice to be a bit soft with only a slight hint of sugar and rice wine vinegar. As a whole, the roll was pleasant enough to eat with plenty of ingredients while being conservatively sauced. 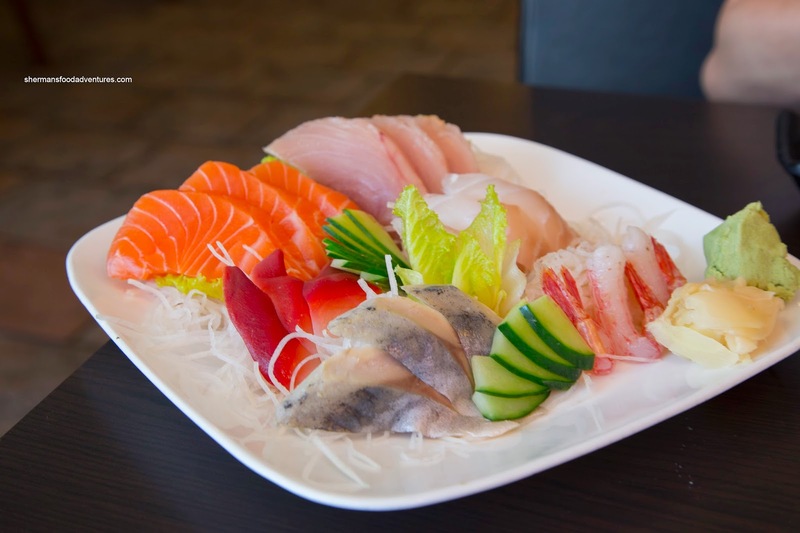 Our last dish was the Assorted Sashimi which was a respectable portion for $14.95. Everything looked like it should have and nothing was particularly out-of-the-ordinary. I appreciated the large slices of fish (especially the tuna), but they were probably too large as it was texturally too dense. 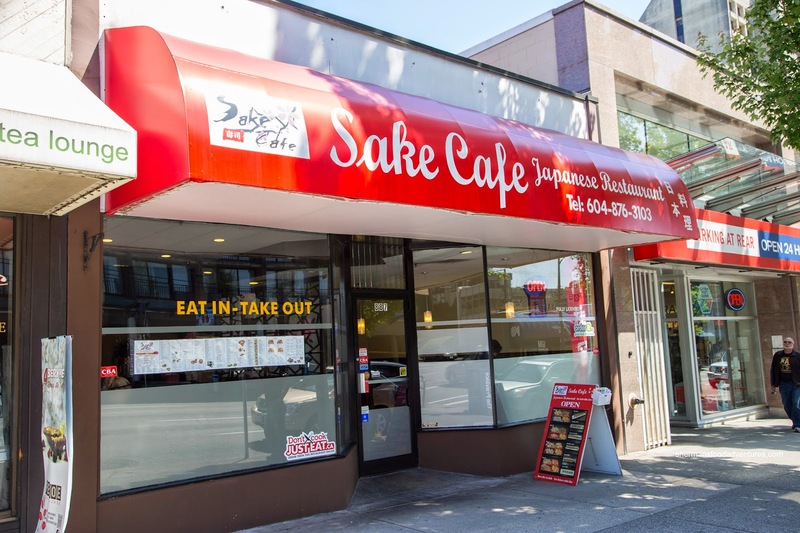 As much as there were issues with some dishes, Sake Cafe does the job for people in the area for a reasonable price. 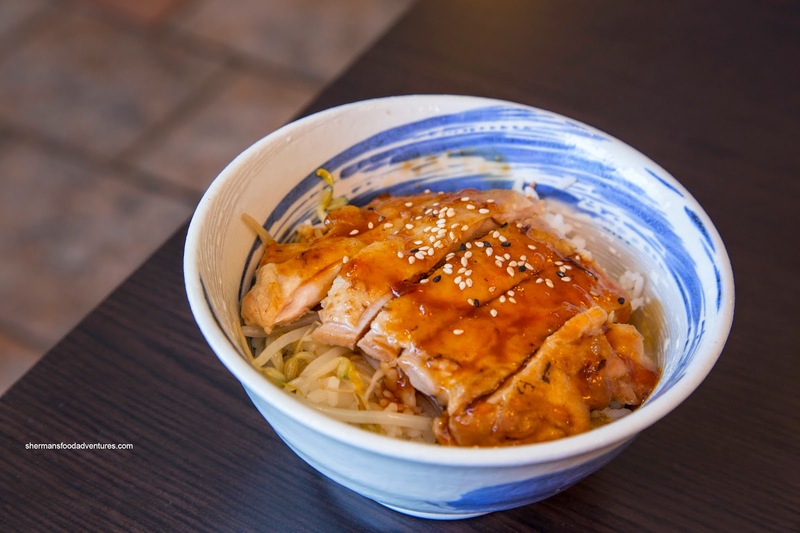 Next time you're in the Fairview area, try Ebisu (the sushi chain formerly known as Kamei) across from Elysian Coffee. Or Yanaki Sushi (Korean) in the plaza at W. 6th and Willow. Or over in Mt. Pleasant, try Sushi Loku on E. Broadway (where Seb's used to be). And Sushiyama is still there if you're wondering.